Some indulgences just taste better at Christmas, and so it is with this soft, sweet and succulent traditional treat. 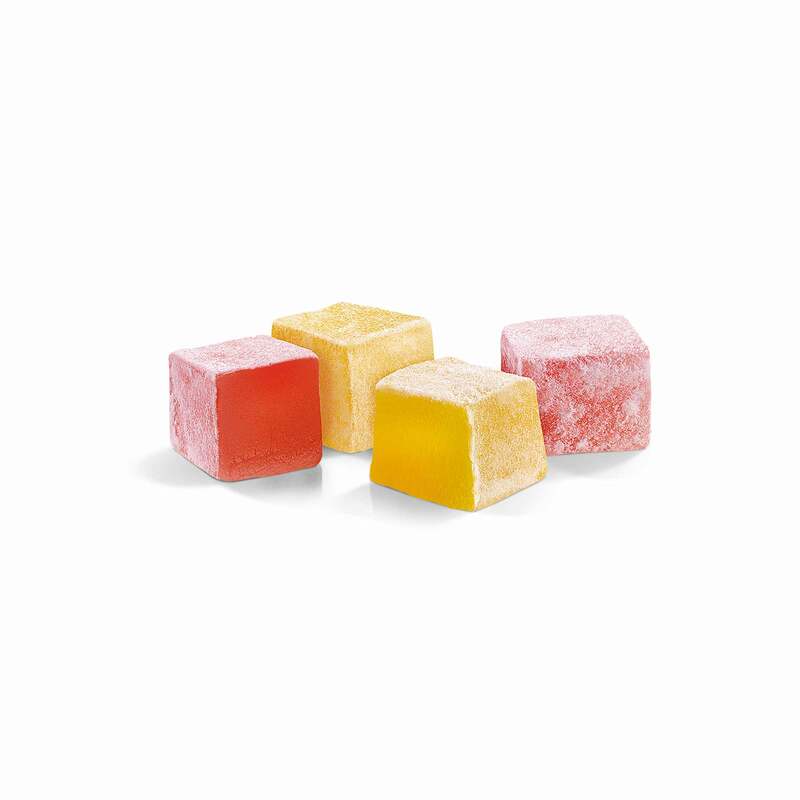 Full to the brim with Eastern promise and fragrant delight, this box of rose and lemon flavour cubes of Turkish Delight makes a beautiful gift. Turkish Delight also makes a delicious alternative to after dinner chocolates, so why not surprise your friends and family with something different? 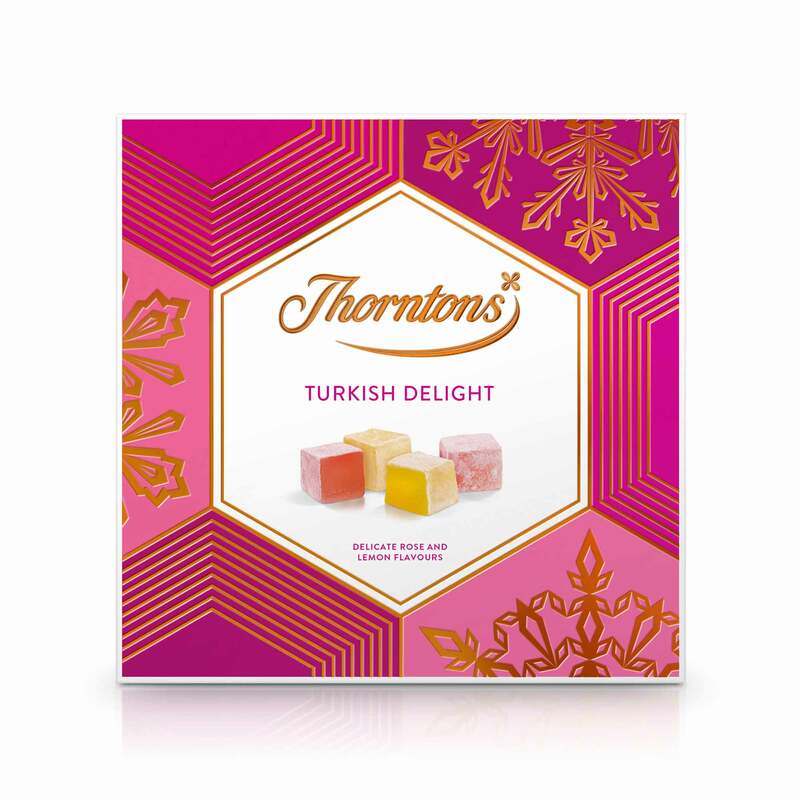 Or perhaps you’d like to indulge in a box of tempting Turkish Delight all to yourself this festive season. We wouldn't blame you. Sugar, maize starch, water, flavourings, acidity regulator (citric acid), black carrot concentrate, colour (curcumin).